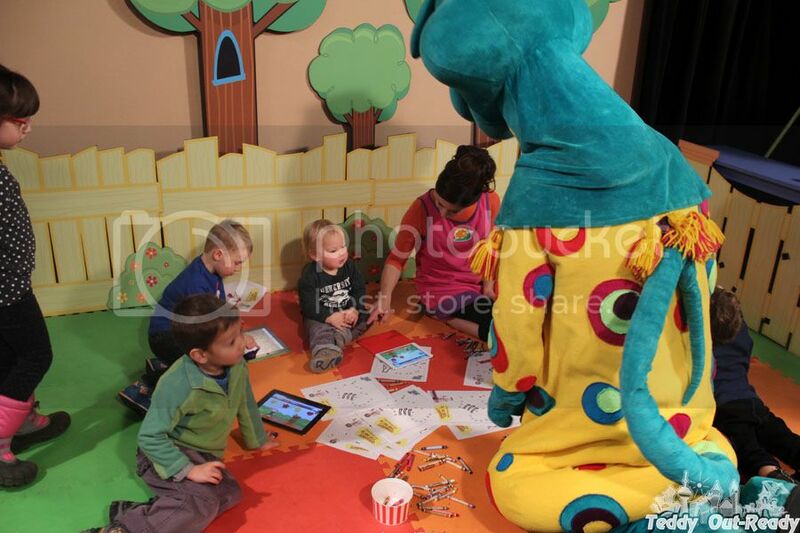 Last week we had a chance to visit TVO studio for Polka Dot Play Date. 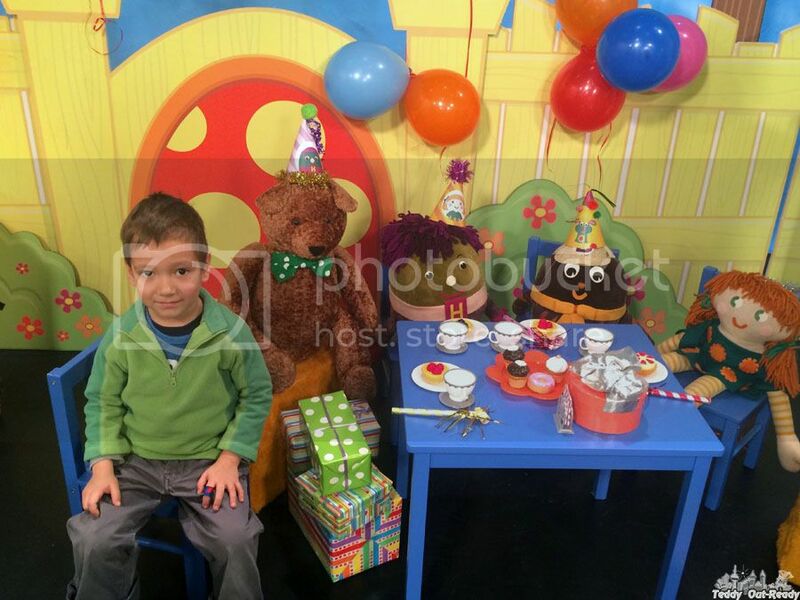 The celebration was dedicated to the launch of new series called Polka Dot Play with original characters and an online math-based game called Bear’s Birthday Party. 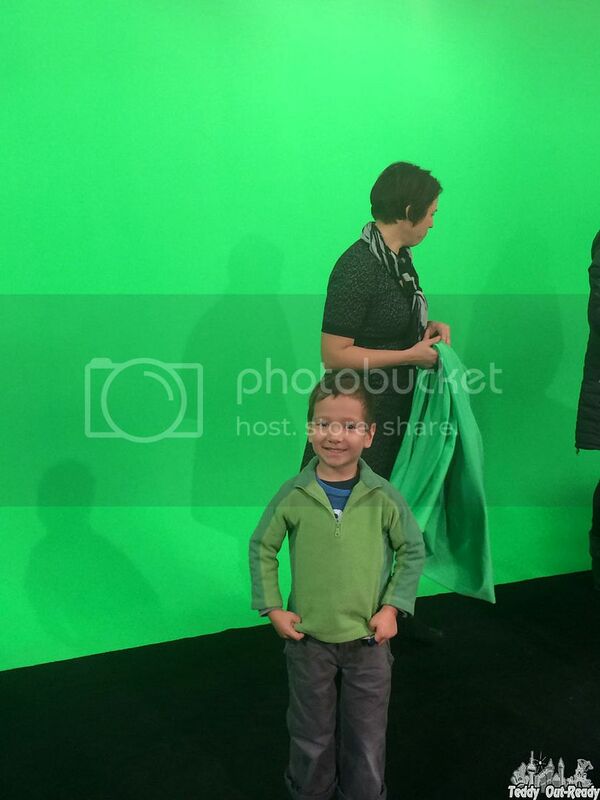 The event started with Green Screen challenge where kids and parents had a chance to have behind the scene experience and learn the tricks of a TV segment production. The funniest part was a hide-and-seek activity using green magic sheet. 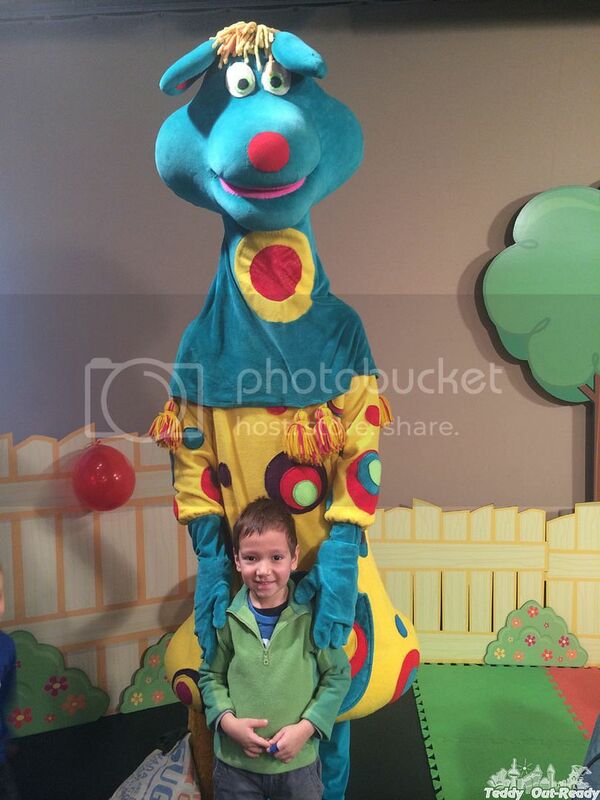 Then we were excited to meet Gisèle and Polkaroo who joined the party. 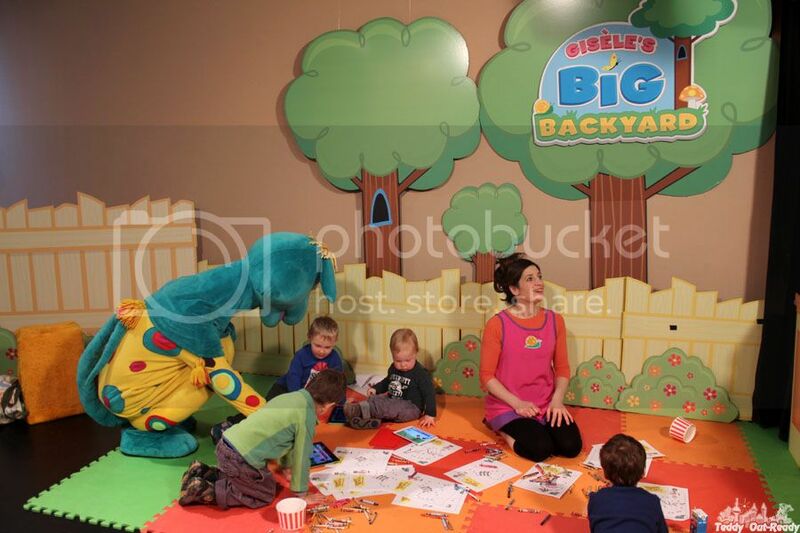 Just few days before the celebration, new Polka Dot Play TV segments were aired on TVO Kids and presented by Gisèle from Gisèle’s Big Backyard. Now we can follow adventures the Polka Dot Door characters Marigold, Bear, Humpty and Dumpty on TVOKids and play the on-line game Bear’s Birthday Party. 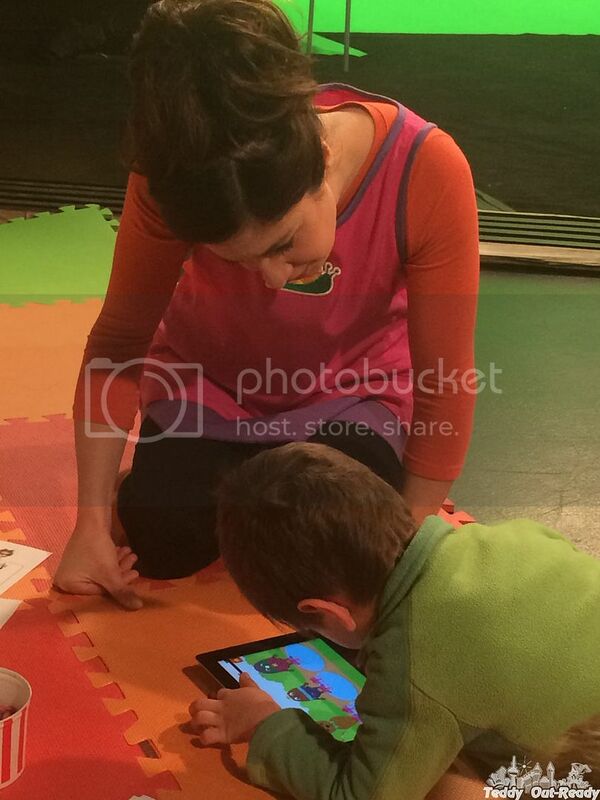 Teddy was eager to try Bear’s Birthday Party game on iPad (now children know how to use tech without any help). In the game, featuring Gisèle and the dolls, kids can help Bear get ready for his birthday party by counting, sorting, and pairing balloons, cupcakes, and presents. I think it is a great way to engage children in learning math since all kids love Birthday parties. First few levels of the game were easy for Teddy and the following ones he had to think how to manage and move forward. 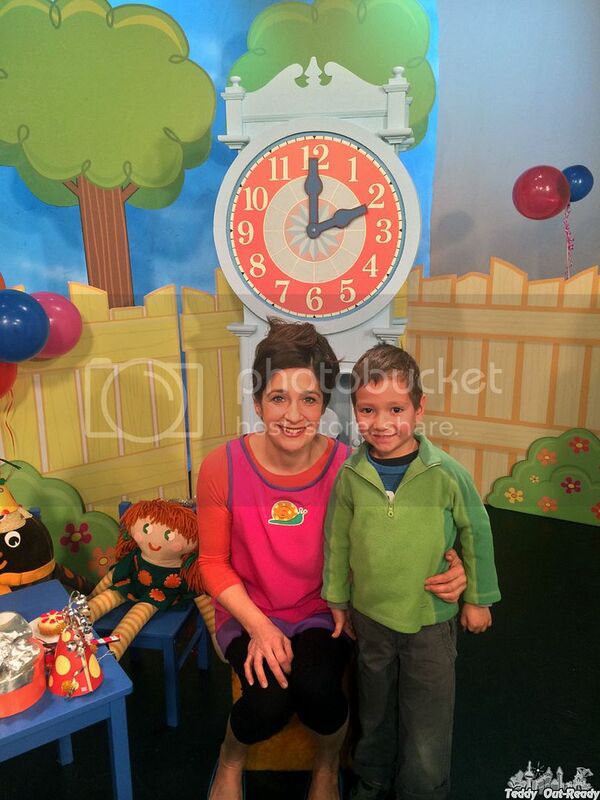 Polka Dot Play characters once were parents favorites in Polka Dot Door series. These days both Polka Dot Play series and Bear’s Birthday Party is the perfect way to involve two generations and help preschoolers with math basics. Strong math skills bring more confidence and contribute to future learning when children start school. The rest of our party we spent playing with Gisèle, Polkaroo and other kids. It was so much fun and everyone had a good time. Teddy left TVO knowing that now he has great helpers in his math journey and he needs to learn much more about it. Do not miss an opportunity to enter TVO Kids contest, where kids can join Bear’s Birthday Party for a chance to win a mini tablet, details can be found here. All TVOKids’ content is based on the Ontario School curriculum and is designed to help kids succeed both inside and outside the classroom. 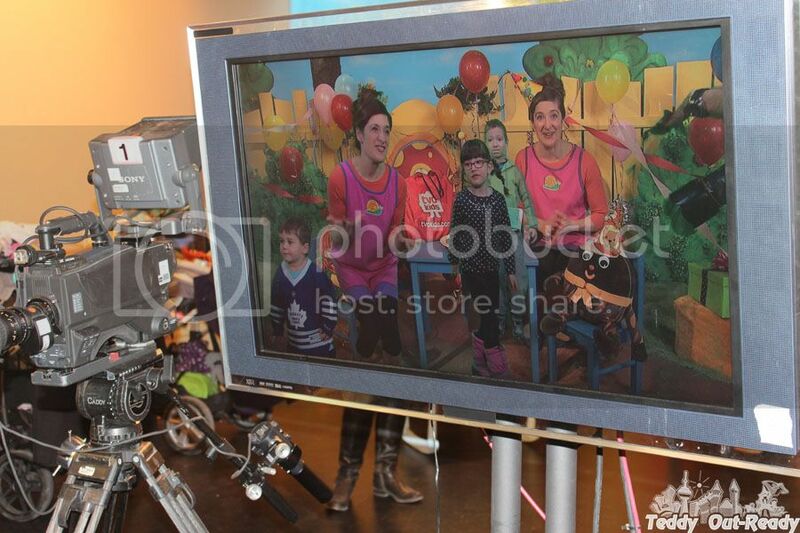 Polka Dot Play and on-line game Bear’s Birthday Party are an example of the integrated educational experience TVO is creating as part of its transformation from educational broadcaster to digital educator. Oh my goodness, so much fun!! Thanks for sharing your experience with us!